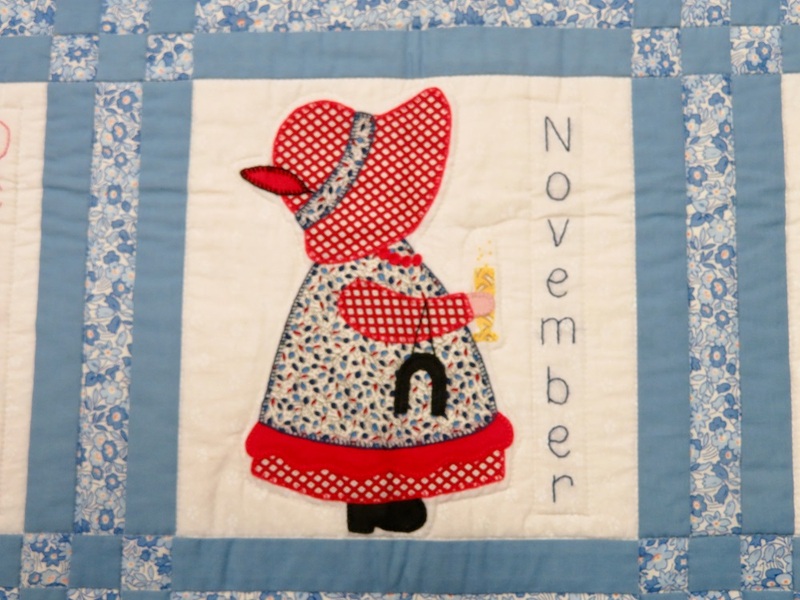 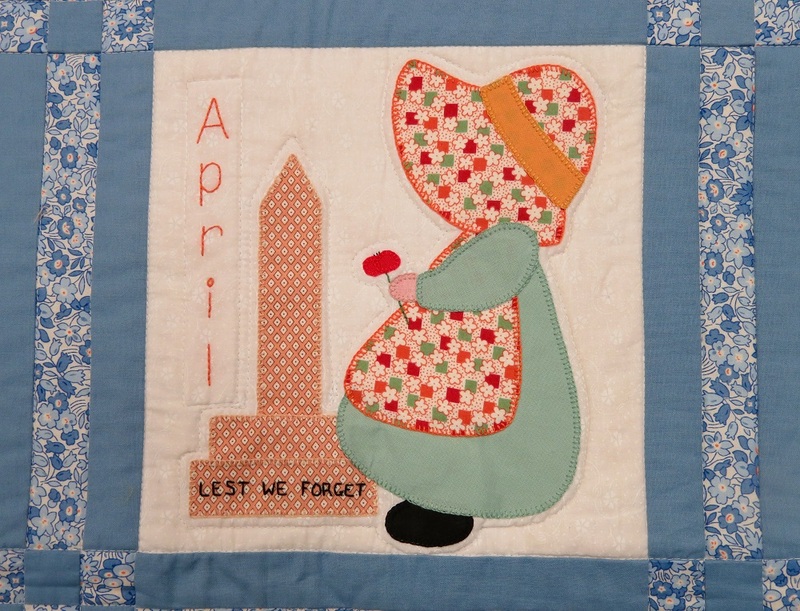 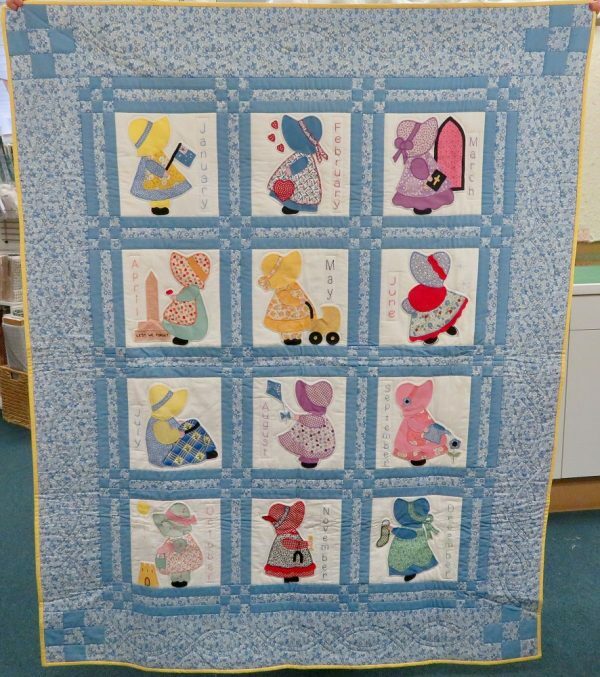 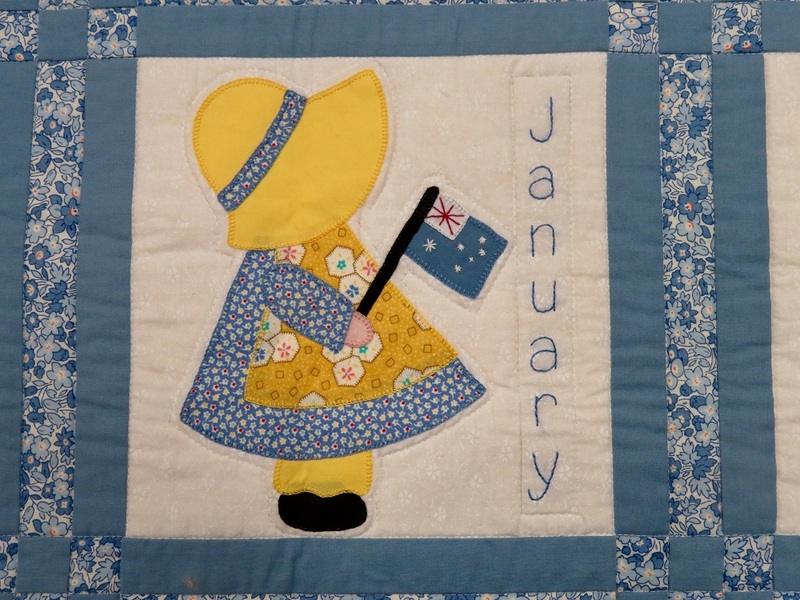 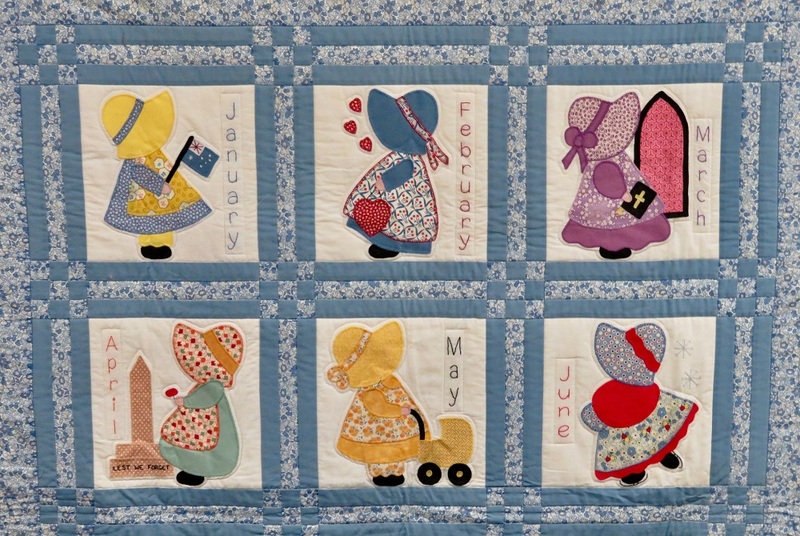 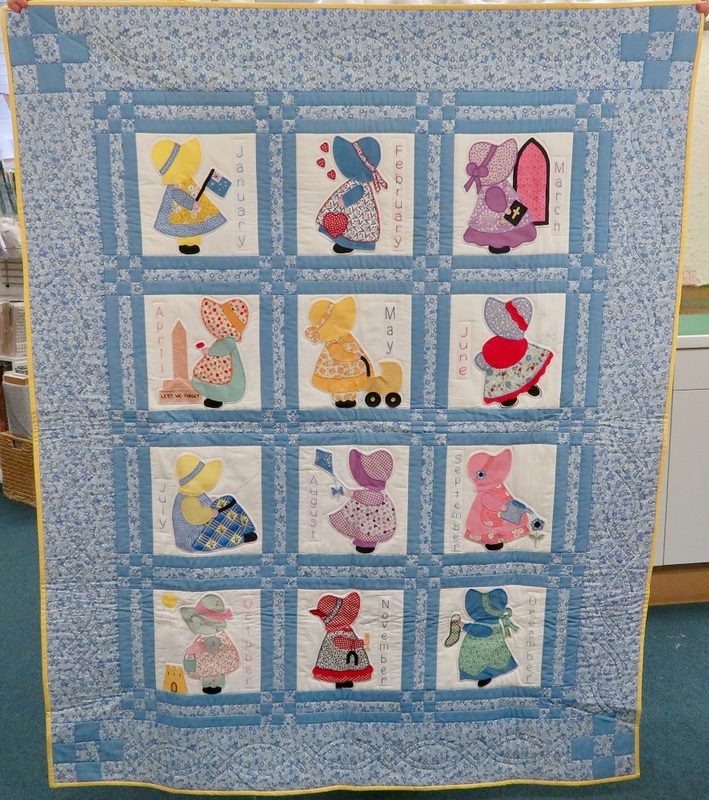 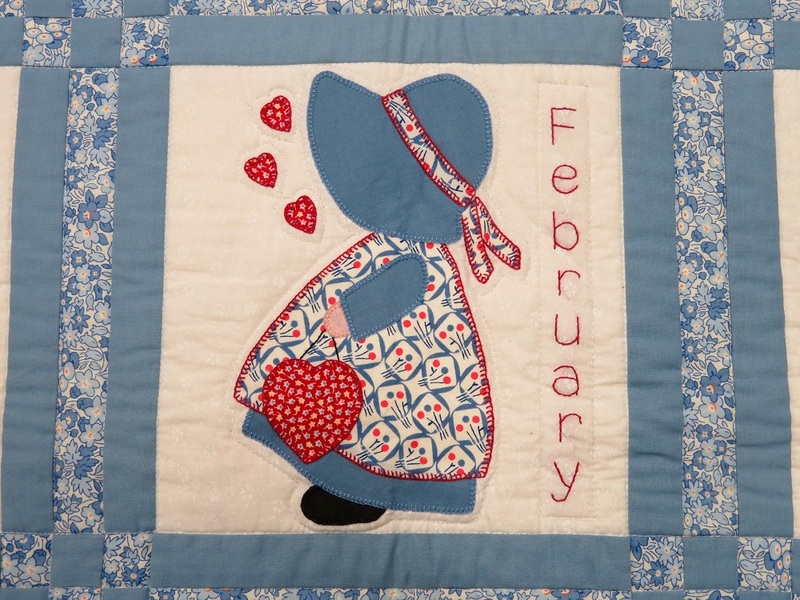 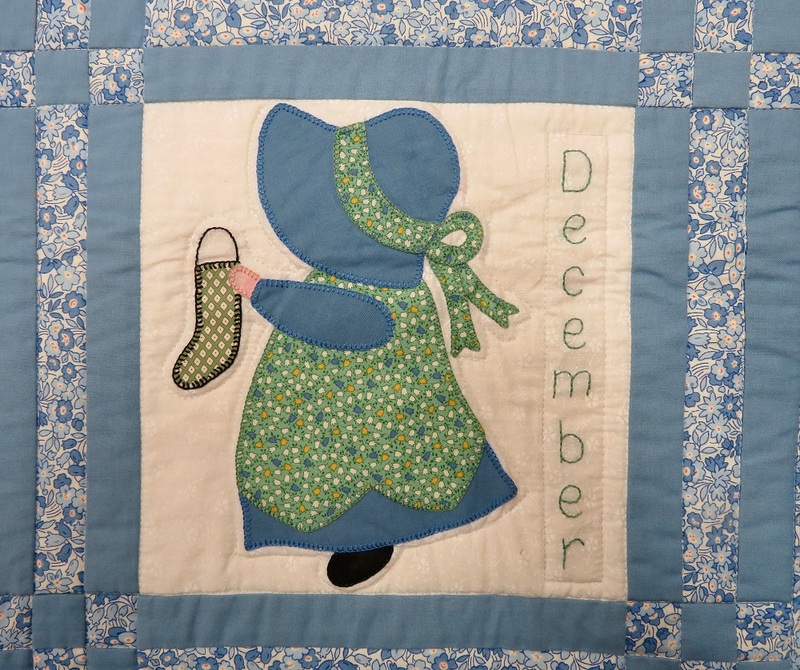 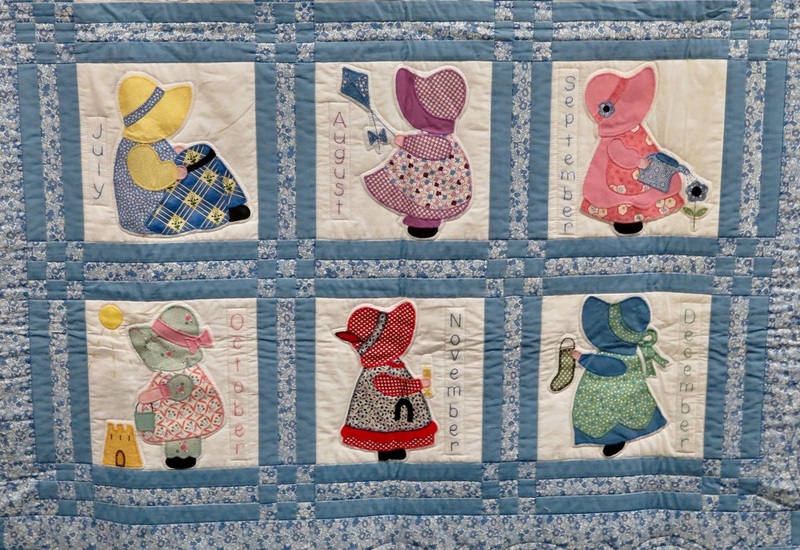 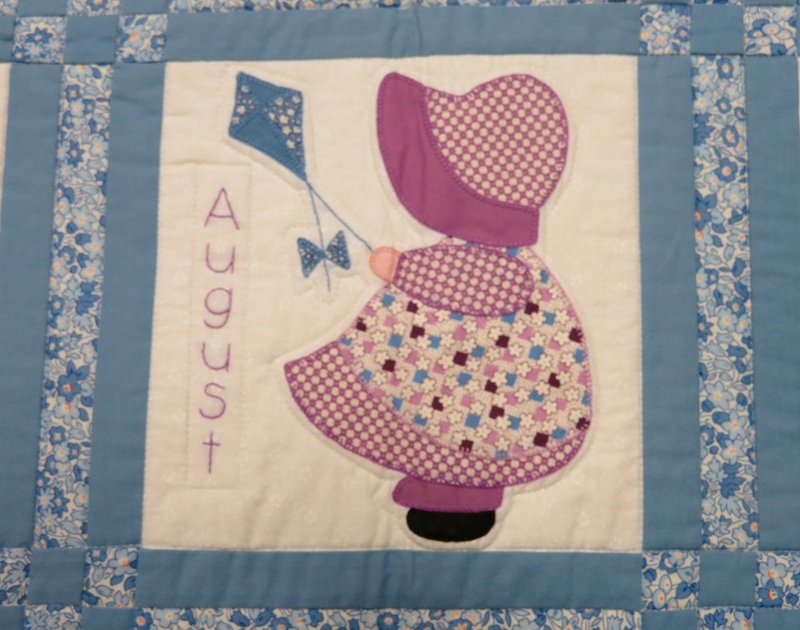 This lovely applique quilt features a collection of blocks with Sunbonnet Sue enjoying different activities throughout the year. 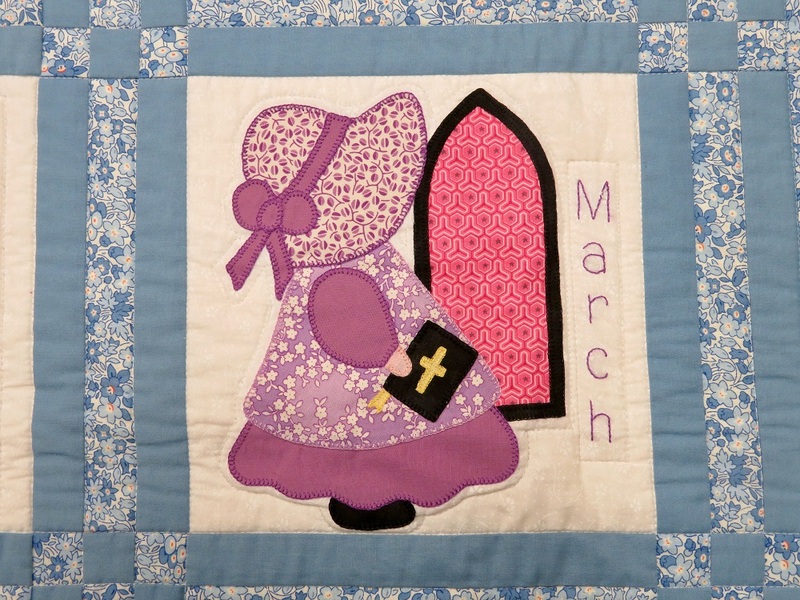 Each month is embroidered and Sue is attached using the fused applique technique. 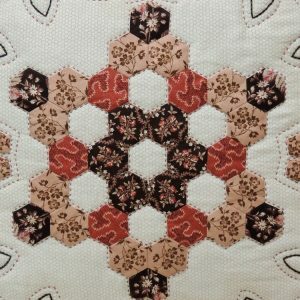 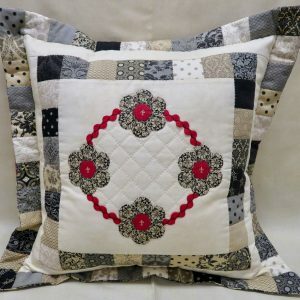 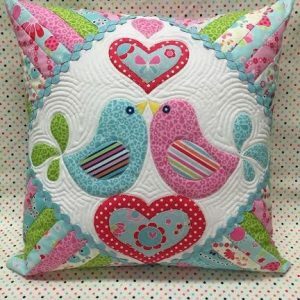 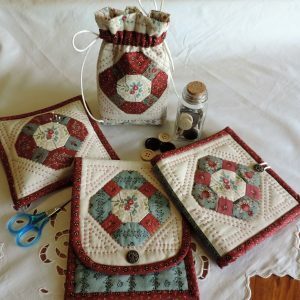 The sample was button hole stitched by hand but the patterns can easily be adapted to machine or other applique techniques. 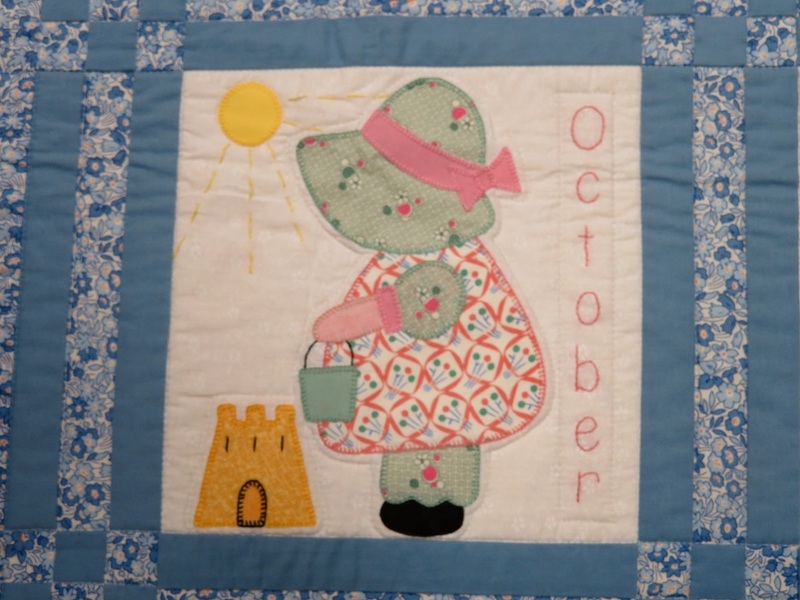 The pattern includes full applique and construction directions as well as full size pattern sheets for all of the applique.